It was an eventful boxing day in the English Premier League on Sunday which concluded with some drama and plenty of goals. Table toppers Liverpool extended their lead at the top of the table as defending champions Manchester City slumped to a 2-1 defeat against Leicester City. It was an eventful boxing day in the English Premier League on Sunday which concluded with some drama and plenty of goals. 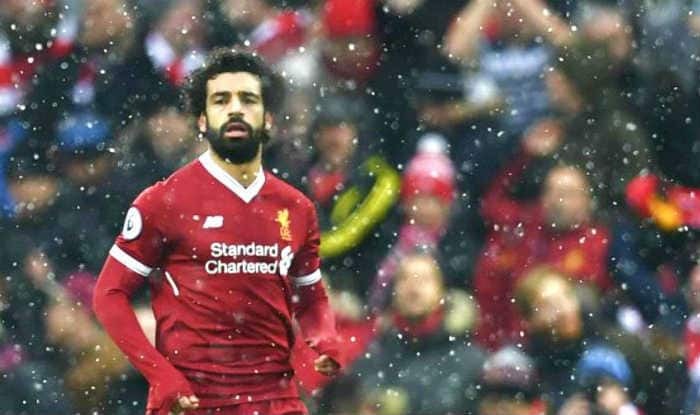 Table toppers Liverpool extended their lead at the top of the table as defending champions Manchester City slumped after a 2-1 defeat against Leicester City. The race for the top four remains intense as the first three teams headed into the boxing day match in excess of 40 points – the only league out of Europe’s top five leagues to do so. Manchester City were reduced to 10-men (Fabian Delph red card) when they took the field against Leicester City at the King Power Stadium. The hosts displayed a commendable performance against Chelsea in the previous match at the kept the momentum going against Pep Guardiola’s men. The Foxes came from a goal down to seal the proceedings after a Jamie Vardy winner. The Kops hosted their former manager Rafa Benitez and his men at the Anfield Stadium and ran a rampage, thrashing the visitors 4-0 with goals from Dejan Lovren, Mo Salah, Fabinho, and Xherdan Shaqiri. Harry Kane led Spurs were clinical as they have been for most of their games this season as they hammered visitors Bournemouth by a scoreline of 5-0. With the festive season, the spirits at Old Trafford have lifted after the appointment of new interim manager Ole Gunnar Solskjaer, who now has two successive victories. Midfielder Paul Pogba seemed to have retained his long-lost form in the match as he notched a couple of goals to seal the day on a high for the Red Devils. The toffees were at the end of a 6-2 hammering against Tottenham in the weekend, but they rose from the ashes on boxing day as netted past through England’s veteran keeper, Joe Hart. Palace hosted Wesh side Cardiff City in a game which was equal in terms of intensity and the scoreline reflected the same as the match ended in a goalless draw. Pierre Emerick Aubameyang extended his tally as the top scorer in the league with 14 goals already scored so far but Brighton equalized at the later stages of the first half and Arsenal failed to find a winner against the tactically-sound Brighton Albion. Chelsea capitalized on Arsenal’s draw with a victory against the Hornets, taking themselves three points adrift in the fourth position. Liverpool remains unbeaten in the league and will take to the field against Arsenal in a blockbuster encounter at the Anfield Stadium on Saturday.